There’s never been a time as good as now to tackle something big. Technology exceeds most of our wildest childhood dreams, we have unprecedented access to information, and we have the capacity to build things many of us never thought possible. And yet, for many of us, it’s challenging to think long term. That’s why we started A Hundred Years. Our mission is to partner with people who are driven to shape the next 100 years strategically, thoughtfully, and creatively through business, design, communication, and technology. We’re looking for teammates who feel fired up and inspired by this challenge, who are deeply empathetic, and who love to collaborate. Sound like you? Let’s talk. We’re up to big things at our Downtown LA space (next to Stumptown Coffee to fuel your day), along with outposts in NYC and Berlin. 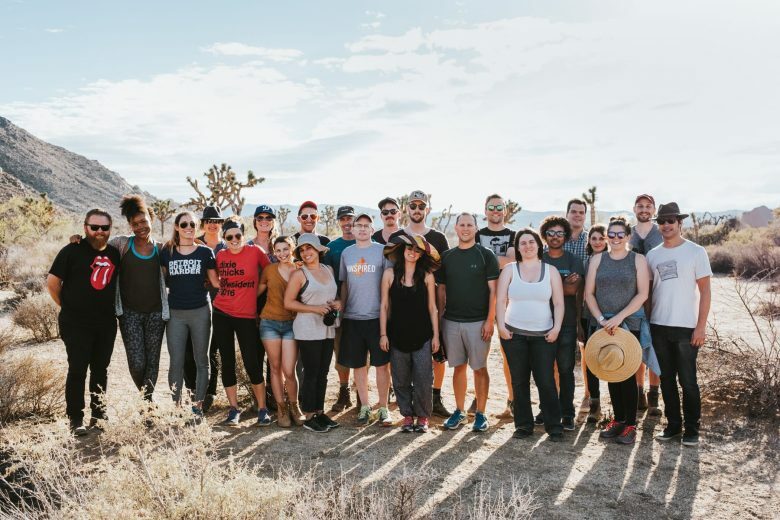 In addition to working with our team of tight-knit, passionate collaborators, perks of the job include: a competitive benefits package and recoup time, hosted weekly lunches, nature retreats, and meetings in a 1966 Airstream. *We’re always on the lookout for like-minded, talented collaborators, so even if we don’t have an opening available, send us a line. We want to talk to you.